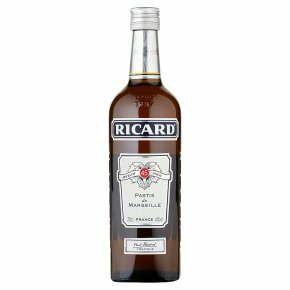 The pastis Ricard was created by Paul Ricard, in Marseilles in 1932. Our pride is, as always, in giving pleasure. Ricard was born in sunny Marseille back in 1932. To reveal the delicacy of the anise, the fresh taste of the liquorice and the subtle Provence herbs, we suggest you add five parts of water to one part of Ricard, plus a few ice cubes. To reveal all the true flavours of the anis, liquorice and the herbs of the Provence, we recommend to mix 5 parts of water to one part Ricard then simply add a couple of ice cubes.